A symbol of the city and Mexican independence, this neoclassical clock tower is the landmark of Independence Square in Pachuca’s Centro Histórico. The Monumental Clock of Pachuca (Pachuca de Soto’s Reloj Monumental) is the focal point of the central Independence Square (La Plaza Independencia). The clock’s four faces point directly north, east, south and west, so the tower is a good starting point for your explorations of Pachuca. Look up at the ornate stone tower with its copper dome, listen to its carillon and visit the modern cultural center below. The tower stands 131 feet (40 meters) tall and was inaugurated in 1910. It was proposed and financed by Cornish miners, who wanted it to become a tower of concerts. This never eventuated because its open balconies were too highly placed, making the musicians invisible to the public below. Instead, the city’s “Banda de Rurales” (Rural Orchestra) played in a purpose-built kiosk below the tower. Walk around the tower to see its four clock faces, adorned by eagles. Note other typical neoclassical features, such as the marble statues representing Liberty, Independence, Constitution and Reform on each side of the tower. These were the milestones from the start of the War of Independence in 1810 to the law reforms in 1859. The tower’s third level houses an Austrian-designed carillon, with a mechanism identical to London’s famous Big Ben, which chimes every 15 minutes. Come back just before 6 p.m. to hear the bells play the Mexican National Anthem. In 2015, the square’s bandstand was replaced by El Centro Cultural El Reloj. Go down into this ultra-modern cultural center, which houses an open-air theater for concerts, an underground children’s learning center, art gallery and exhibit space. After browsing, visit its library, gift shop and restaurant with wine bar. It’s worth returning to Independence Square at the end of the day to see the tower lit up like a beacon against the night sky. The Monumental Clock is easy to reach by public transportation and taxi. Parking is limited in the square itself, but the surrounding streets have more spaces. Entry to the cultural center is free, but you may have to pay for certain exhibits. Stroll around Pachuca’s main plaza to discover some of the city’s history and see its monumental clock tower, which has a chime that sounds just like Big Ben in London. Leave the semi-desert behind and enter the lush realm of one of Mexico’s oldest nature reserves, which has ancient conifers, a cool climate and magnificent vistas. Walk over the park’s gigantic mosaic, visit the Soccer Hall of Fame and relax in Pachuca’s spacious cultural green space, an initiative of Mexico’s Jewish community. Meet life-size dinosaurs in Pachuca’s interactive family museum, which also has a planetarium, observatory, science lab, cactus garden and Mesoamerican statues. This family-friendly hotel is located in the city centre, within 2 mi (3 km) of Hidalgo Stadium, Galerias Pachuca Mall and Hidalgo Theater. Center of Art and Philosophy and Cuartel De Arte Museum are also within 2 miles (3 km). 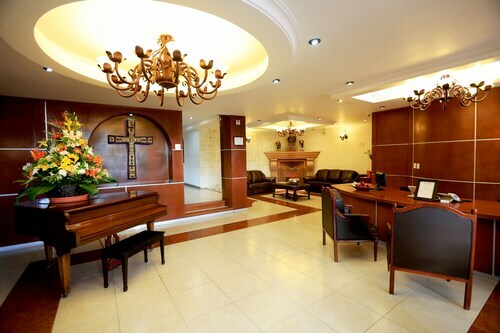 Located in the heart of Pachuca, this hotel is steps away from Monumental Clock of Pachuca and Independence Square. Mineria Museum and Historical Archive and Hidalgo Theater are also within 10 minutes. 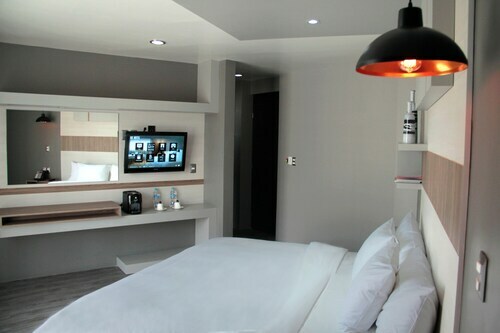 Situated in Pachuca, this eco-friendly hotel is within 1 mi (2 km) of Galerias Pachuca Mall and Hidalgo Stadium. International Soccer Hall of Fame and Mundo Futbol Interactive Center are also within 2 mi (3 km). 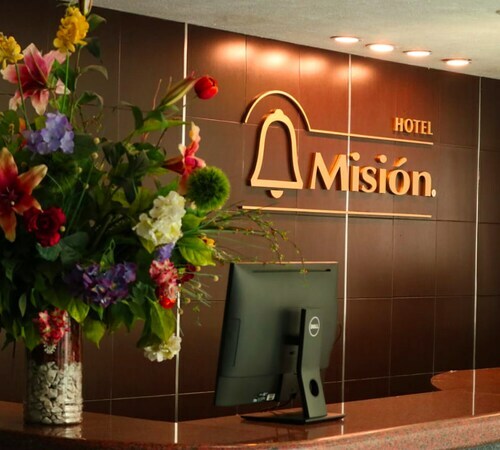 Located in the heart of Pachuca, this family-friendly hotel is steps away from Independence Square, Monumental Clock of Pachuca and Mineria Museum and Historical Archive. Hidalgo Theater and National Photography Museum are also within 10 minutes. 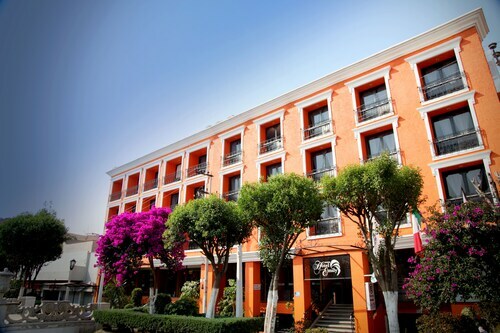 Situated in Pachuca, this hotel is within a 15-minute walk of Center of Art and Philosophy and Hidalgo Theater. Monumental Clock of Pachuca and Independence Square are also within 1 mile (2 km). 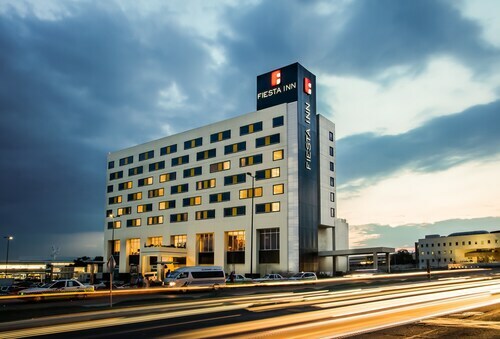 Situated in the business district, this hotel is within 1 mile (2 km) of Hidalgo Stadium, Hidalgo Theater and Center of Art and Philosophy. National Photography Museum and Cuartel De Arte Museum are also within 2 miles (3 km). Situated in Pachuca, this hotel is within 1 mile (2 km) of Mineria Museum and Historical Archive, Independence Square and Monumental Clock of Pachuca. National Photography Museum and Cuartel De Arte Museum are also within 2 miles (3 km). 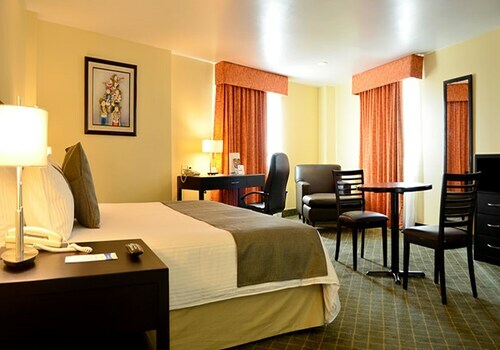 Situated in Pachuca, this hotel is within 2 miles (3 km) of Mundo Futbol Interactive Center, International Soccer Hall of Fame and Galerias Pachuca Mall. Auditorium Gota de Plata and David Ben Gurion Park are also within 2 miles (3 km).